The proliferation of digital devices has transformed the way in which we store, use and share data, leading to consumer requirements that are more varied than ever before. Our documents, photos and music are accessed on a growing number of devices, in various locations, often leading to dispersed data that is hardly ideal - what's more frustrating than needing a spreadsheet that you left at the office? Getting around such issues can be achieved with a centralised data repository that stores your content and makes it available across multiple devices and platforms. Acknowledging that a cheap-and-cheerful USB pendrive will only get you so far, some of the biggest names in the industry have put forth a range of potential solutions, ranging from online services such as Dropbox and OneDrive, to web-connected NAS devices such as the WD My Cloud. 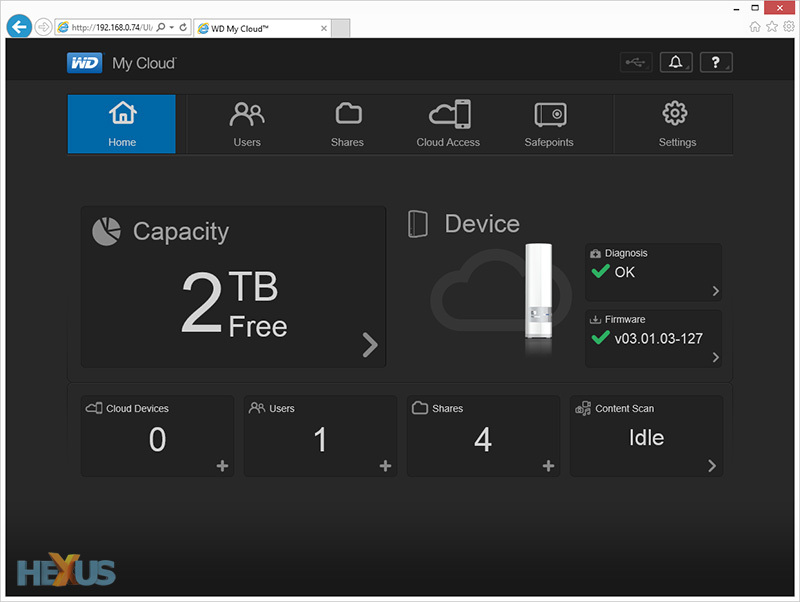 In this Tech Explained article, we'll be discussing the reasoning behind the My Cloud, and why it could be the right solution for you. At its core, the WD My Cloud is a NAS (Network-Attached Storage) unit going by another name. Essentially a mini PC running a custom operating system, My Cloud is used to centralise your data and is available in an array of capacities ranging from a simple 2TB model (pictured below) to a massive 24TB unit aimed at prosumers. What makes My Cloud an intriguing proposition in today's multi-device world is the promise of "anywhere access" via your home or office broadband. Designed with the web in mind, each My Cloud is supported by a cast of popular apps that enable seamless connectivity from smartphones, tablets, PCs and Macs. The cloud can come across as confusing at the best of times, so perhaps it's best to consider a usage scenario. Here's a simple one: when taking a photo on your smartphone, you could save it to your My Cloud in order to make it accessible via any other device. Get adventurous and you could even share the photograph with friends or colleagues. But that's something you could do quite easily, and for free, via a web-based service such as Dropbox, so why should you consider a NAS? The first point of differentiation is available capacity. At the time of writing, Dropbox offers 2GB of free space to all users, and you can choose to upgrade to a much larger 1TB capacity with a subscription priced at £7.99 per month. Use it for a couple of years and expenditure would quickly rise into the hundreds, at which point a WD My Cloud becomes a viable alternative. 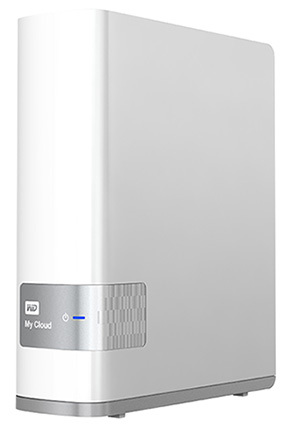 At a cost of £160, a 4TB My Cloud offers far greater storage and a one-off price tag with no recurring fees. Both offer anywhere access, yet while Dropbox will service the needs of light users, anybody with a serious amount of data will find that My Cloud offers more room to manoeuvre. Any mention of the cloud tends to trigger concerns regarding security, and perhaps rightfully so. If your data is being hosted on a far-away server, what guarantee is there that it won't be compromised in some way? Uploading data direct to the cloud is a sensitive subject, and this is another area in which WD claims to hold the upper hand. 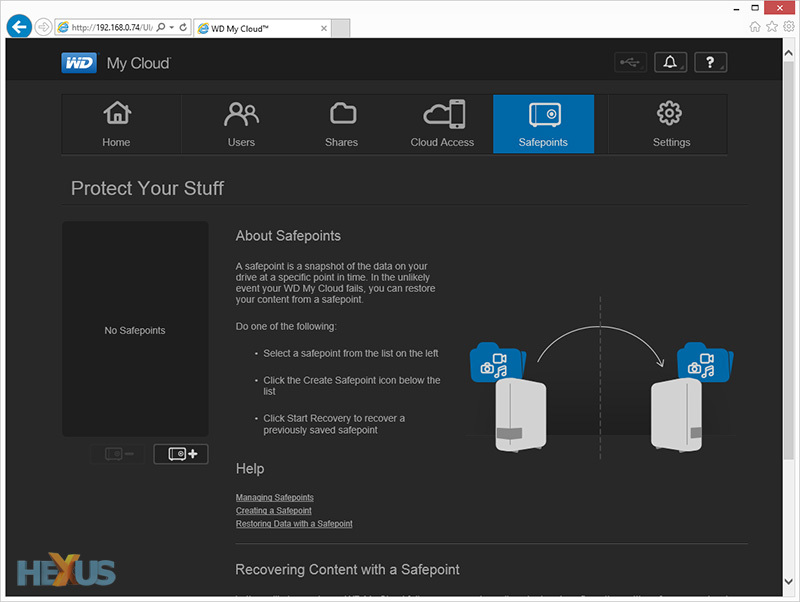 In contrast to online file-sharing services, My Cloud stores your content on your own personal NAS, installed safely at home, and makes it available via your own network - you are in control. There's no concern over where your data is held, but there are potential downsides, too. Web servers such as Dropbox typically utilise data centres all over the globe, offering redundancy for stored content, whereas a personal NAS requires backup consideration. To alleviate such concerns, multi-drive My Cloud units are available with built-in RAID redundancy, and backups are also supported to other USB or network devices. 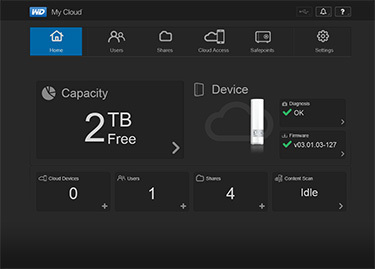 High capacity, one-off-cost and security peace of mind are all key ingredients to the My Cloud software formula, which has been downloaded more than 4m times, but as a fully-fledged NAS, WD is able to offer much more than just a centralised data store. Providing advanced features, each My Cloud is shipped with a built-in DLNA media server, allowing for data to be streamed to connected devices such as Smart TVs. 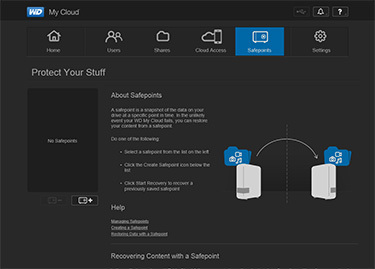 Bundled SmartWare Pro software enables frequent backups from networked PCs, and Mac users are also catered for with support for Apple Time Machine. Ensuring mainstream appeal, the array of functions are easily accessible via an intuitive web-based admin panel, and for multi-user households, individual accounts can be created with just a couple of clicks. Dual-core processing power ensures high-speed local read and writes, though users relying heavily on remote access should be wary of data usage - if you aren't able to obtain an unlimited plan, My Cloud could eat into your monthly allowance. Who needs a Cloud of their own? A device such as the WD My Cloud is best suited to consumers and prosumers who are discovering the limitations of web-based services such as Dropbox and OneDrive. Offering greater capacity, no recurring fees and anywhere access on your PC, Mac, tablet or smartphone, My Cloud could prove to be a valuable tool to anyone needing an easy-to-use, accessible and secure centralised repository for large amounts of data. For full disclosure, this editorial was sponsored by WD. Further information on My Cloud is available at the WD Learning Center.